Pittsburgh has plenty of surprises for families and kids this June, including a reading festival packed with fun, LEGO art at Carnegie Science Center and a chance (for everyone!) 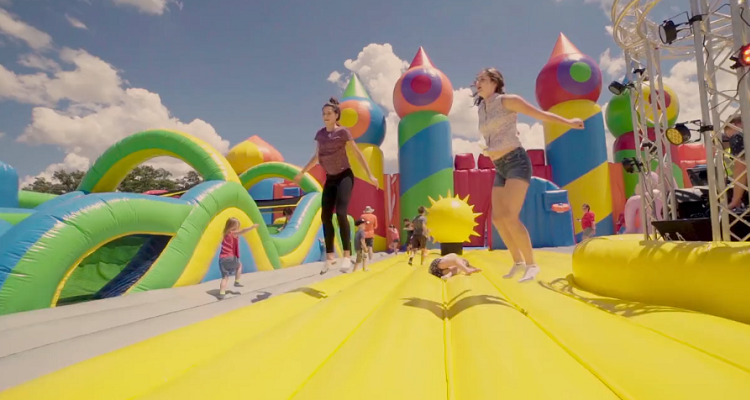 to jump around in the world’s biggest bounce house! Plus there’s a day for dads at Heinz History Center, a pup walk and so much more. Embrace your inner artist when you and your family enter the Giant Eagle Creativity Zone at the Dollar Bank Three Rivers Arts Festival. Held at Point State Park, the event features more than a week of all-ages art activities presented by some of Pittsburgh’s leading community organizations. Craft with reclaimed materials during Reuse-a-Palooza, learn how to make your own ceramics with Pittsburgh Filmmakers and Pittsburgh Center for the Arts or create 3D pop-up cards with the Mattress Factory. There’s also fun with the Andy Warhol Museum, Trust Arts Education, Carnegie Science Center, Fort Pitt Museum, Children’s Theater Series, and more. All activities are free and open to the public. Summer doesn’t get much sweeter than the Strawberry Festival at Shadyside Presbyterian Church. The event will serve up a variety of yummy treats, including fresh strawberries, ice cream, strawberry shortcake and baked goods, as well as savory picnic fare like hot dogs and pasta salad. There’s also plenty of family fun, including games with prizes, children’s crafts, balloons and face painting, as well as a cakewalk. Admission, crafts and the cakewalk are free. Proceeds will benefit Sojourner House. Image courtesy of Big Bounce America. Explore 10,000 square feet of inflatable fun when the Big Bounce America comes to the Lawrence County Fair in New Castle, PA. Dubbed the world’s biggest bounce house, the attraction features tons of all-ages fun for the whole family, with special sessions for toddlers, kids, teens and adults. And you’ll do more than jump around when you discover the basketball hoops, a ninja-style obstacle course, slides, a monster ball pit and dance parties. There are also yard games at the new Bounce Village. Reserve your tickets now. Image courtesy of Carnegie Library of Pittsburgh. The Carnegie Library of Pittsburgh kicks off its annual reading challenge with a day of fun for the whole family. 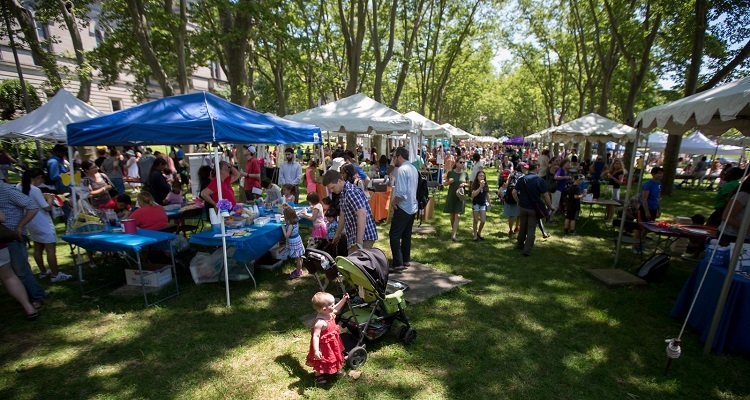 The 18th annual Summer Reading Extravaganza features live music, crafts, games, storytelling and more. Take in a puppet show or live performance by one of many local groups, play Book Cover Jeopardy, make a button with images from the Pittsburgh Photographic Library, or discover toys and activities for younger children at the Family PlayShop. There will also be chess games, a bounce house, food trucks and complimentary treats for hungry guests. The event is free and open to the public. The Panera Pup Walk returns to The Waterfront with tons of fun for you and your furry friend. Take your dog on a one-mile walk led by former Pittsburgh Steeler, Charlie Batch, and his wife, Latasha. The rest of the day features vendors and giveaways, a raffle, music, puppy pools and more. Registration for the walk is $25 per dog or $30 for day-of registration (each additional dog is $5). All proceeds benefit Humane Animal Rescue. The post Top 10 events for kids in Pittsburgh this June appeared first on NEXTpittsburgh.